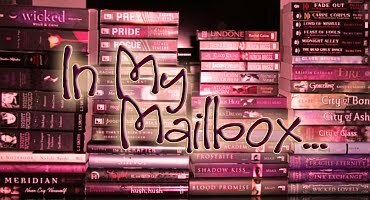 This week was another great week for my mailbox, I ordered a few books but they aren’t here yet. So the following books are all for review! received from Penguin Canada. I hadn’t read this series yet so I ordered the Box Set of the first 6 books in the series! OMG....Lover Mine! OMG...lol did i say OMG already? Wow!! Voices of Dragons and Knight Angels Book of Love!! Wow!!!! Omg! LOVER MINE!!! i have a giant jealous! Omgsh I am like dying dying to read Lover Mine. Do you think Penguin Canada would send a die hard fan this book? The series is awesome! Enjoy. Give the book a hug for me. LOL! Voices of Dragons was amazing! I hope you enjoy it. Immortal was also a very good read. Great haul this week. OMG!?! You haven't read JR Ward's series yet!?!? Hop to it girly! Enjoy. That series will blow your socks off. Srsly. Ooh...another person discovering IMMORTAL. I really enjoyed it...read it the first weekend it came out. Can't wait to see what you think!